There are many, many scientific factors involved in the evaluation of global temperatures. The list includes measurement, site selection, selection and use of mathematical and computer processes, interpretation and calculating compensations, establishing local temperatures, then global averages, then trends in order to create and publish truly meaningful conclusions. At best, the end result might be a reasonably accurate and acceptable “tool” for making confident judgments, scientifically and politically. At worst, before even considering human behavioural influences, the conclusions may be a compromise, say in comparison with having a complete, comprehensive, global network of uniformly placed temperature sensors with known accuracies and having absolute knowledge of urban heat and any other influences. A compromise that might jeopardize the confidence in conclusions involving tenths of a degree when global extremes range over more than maybe 150 degrees? The expert scientists who are dealing with all these factors are themselves really another source of variability. Ranging from – those who are fully committed in proving that “global warming” exists, that the warming is significantly due to atmospheric CO2, and that it is the man-made portion of CO2 emissions that will result in catastrophic degradation of our environment and personal well-being, a degradation that they believe can be limited by carbon controls; to those who have laid their reputations on the line in proving the conclusions of the former to be unsubstantiated. Why does the ‘latter’ group feel so strongly driven to question the “catastrophic global warming” group and their actions? Firstly it is because there are perceived departures from traditional scientific principles, a suspect reliance on selection of data and processing procedures. A refusal to sensibly and scientifically respond to valid questions. Refusal to admit that their peer review processes are suspect. Clearly refutable (almost laughable), claims of their science having 97% support from the climate scientists. A reliance on computer models that are increasingly shown to be significantly in error. Now, coming to the thrust of this particular post, evidence that deliberate manipulation of temperature data is prevalent. Secondly, an answer to the question of “why bother to oppose the CAGW movement”? The science adulteration would be enough reason anyway, but there is a much more serious reason. Because of the claimed catastrophic “warming”, (which BTW, is being blamed for just about any daily, monthly or annual aberrations in the weather and a host of other imagined to be serious environmental issues), the UN is burdening individual countries with demands, financial and political, which are literally destroying their autonomy, and national, business and family economies. A tangled web! There are volumes, reams (and Tbytes of web pages) of information and debate on all the relevant issues which are going nowhere fast. The climate theorists (whose theories have not been proven to be infallible), are seriously ensconced in the UN political web which cannot hide its world control agenda and which wields enormous power over countries and the mass media. (Another aside – just how the United Nations organization has managed to establish this enormous power and authority is another question, but it is a relevant one). Everywhere in the education system and the media we hear “climate change this….” climate change that….” – an apparent fait accompli ! As a result, the public has been brainwashed from kindergarten through to university, and beyond, to a degree that all the valid science in the world apparently will not dent their enthusiasm nor their inertia in controlling the people. In the scientific, technical world however, we have a public duty to resist and oppose such a travesty of justice that is dangerously changing our civilization. For the sake of science and civilization, truth and justice! At last we come to the crux of this reblogging post. So far, technical, scientific endeavours have been less than effective in changing anything. A few countries are standing up to the UN bullying, but mainly for the economic benefit to themselves, fair enough. But there seems here, to be a technical evaluation that would be of great significance. WE have claimed, over and over again that temperature data is being fiddled, selected and manipulated. Denials, (from the people who label us ‘deniers’), are inadequate yet they get away with them. 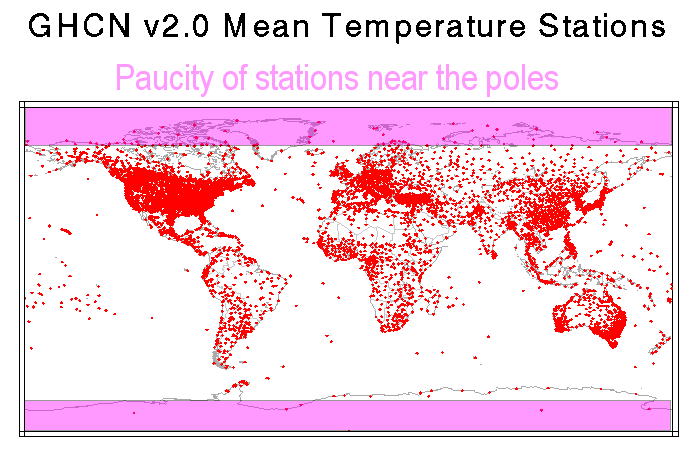 This independent review of temperature data and its utilization is a welcome contribution. It is to be expected that, once again the ‘messenger’ will be shot, but I would expect some real science to emerge, falsifiable science which will prove valid. Some surface temperature recordings used as the basis for global warming evidence are guessed at – including in the Arctic and Antarctic. The Global Warming Policy Foundation (GWPF), chaired by former Conservative chancellor Nigel Lawson, has recently launched an inquiry into the reliability of global surface temperature records, with a group of international “eminent climatologists, physicists and statisticians” set to probe current data.With different sets of results appearing to conflict each other, the GWPF say they have received questions and concerns about which records are accurate and why some adjustments in temperatures are made over the years. But now their inquiry is underway, Dr Benny Peiser, director of the GWPF, has said he hopes the findings will address the lack of clarity and transparency he claims surrounds temperature records – while admitting his “growing concern” about the gathering of global warming statistics. This entry was posted in AGENDA 21, AGW, climate change, ENVIRONMENT, World Issues and tagged Carbon dioxide, Climate change, ENVIRONMENT, Global warming, United Nations, Watts Up With That?. Bookmark the permalink. An electronics engineer. Wow. In a loop. Decided something long ago and can’t get out. Sorry for you. Thanks for your rude and extremely narrow-minded comment. Shooting the messenger indicates that you are incapable of rational thinking, it appears. Please don’t come here again! For a more rational explanation.